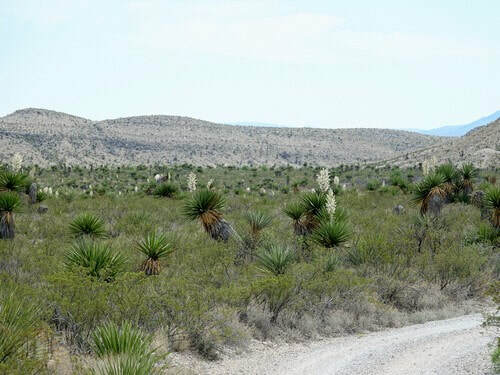 This is a seven mile, in and out, road leading to a forest of giant Dagger Yuccas. 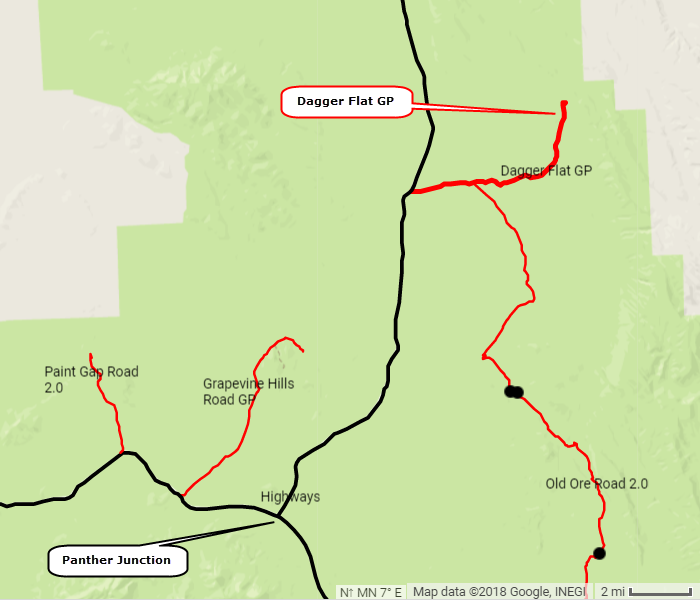 This road is usually passable by most vehicles, but rain may cause mud and make it difficult for lesser vehicles. 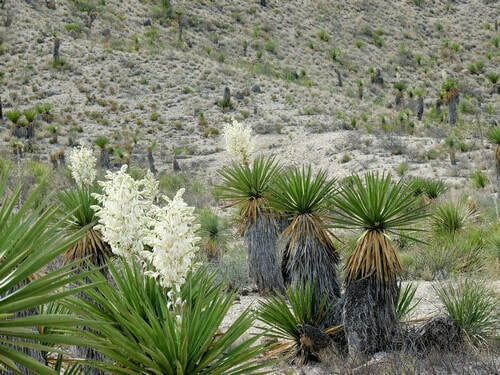 Dagger Yucca are abundant in the Dead Horse Mountains, but rare elsewhere in the park, preferring the limestone soil these mountains provide. These tree-like succulents can reach 30 feet in height and 2 feet in diameter. They generally bloom in late spring. 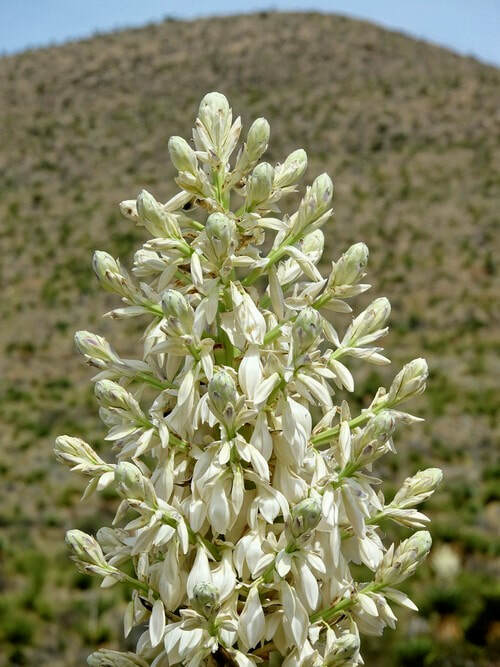 There can be hundreds of creamy white flowers, each up to 4 inches long, on branched flower spikes. A bloom stalk with flowers can weigh up to 70 pounds. There is turnaround loop at the end of the road that is a good spot to get out and look around. Of course, you can also get out anywhere.